It was a long weekend of summer when I traveled from Bir. A friend of mine had joined me, and we were headed to McLeod Ganj, the little Lhasa of India. 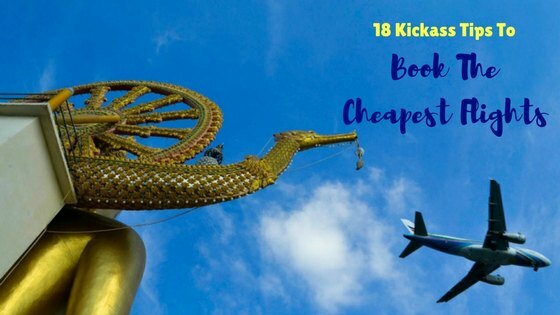 I hadn’t booked any place, and I was afraid of losing the best places due to the surge of travelers. After checking for some time, I came across a place called Bonfire Hostel. I checked up their website for reviews to take a look at the property and for some reviews. Now, I don’t usually do a lot of research before hand these days as I’m either traveling without plans or for the lack of time. 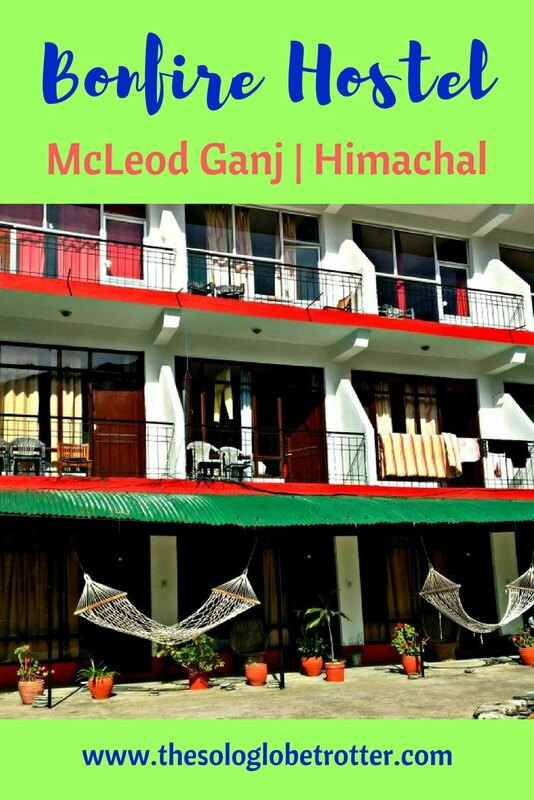 But since my friend was traveling, I had to do it for her, and to my surprise, I didn’t find much about Bonfire hostel of McLeod Ganj. 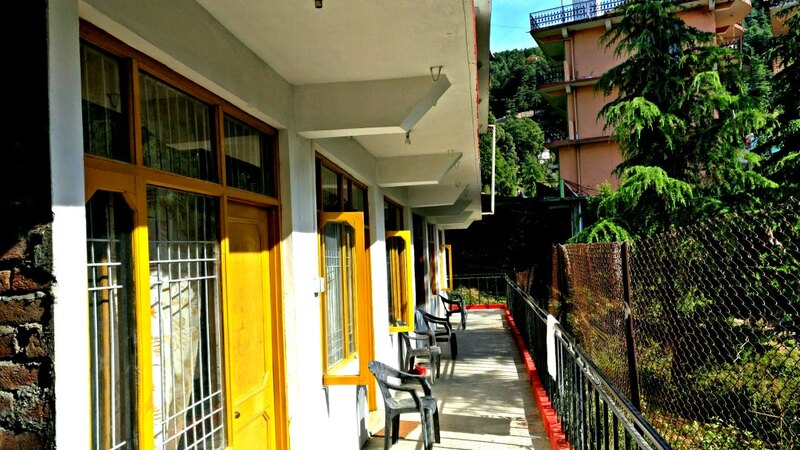 The website looked good, and their Bonfire hostel in Rishikesh had some great reviews. So I thought that this must be a new one, and decided to give it a try. 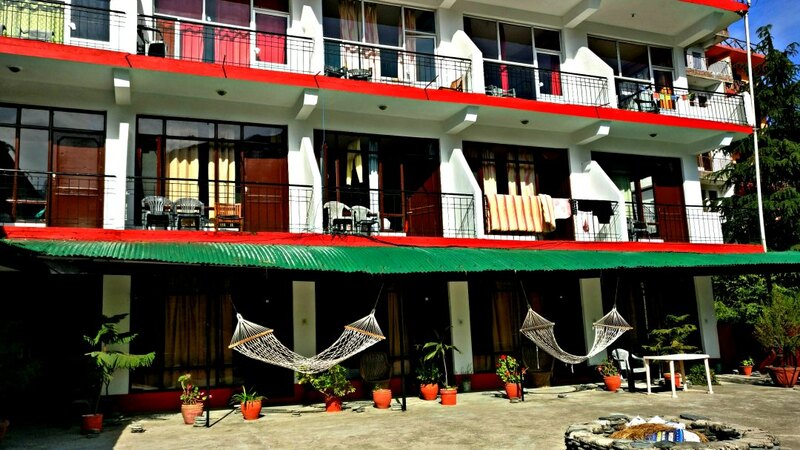 Many of the frequent travelers know that hostels can be a hit or a miss. I had the same worry as well, but luckily, believe me, Bonfire hostel was a hit! The hostel is quite new in the area. Also, renovation work was going on, and I missed out on some of the amenities of the hostel, but I think it’s going to turn out great once the place is ready! 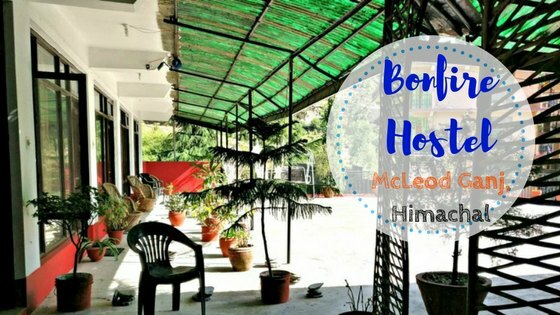 We stayed at Bonfire hostel for 3 nights, and here are some glimpses about the place. 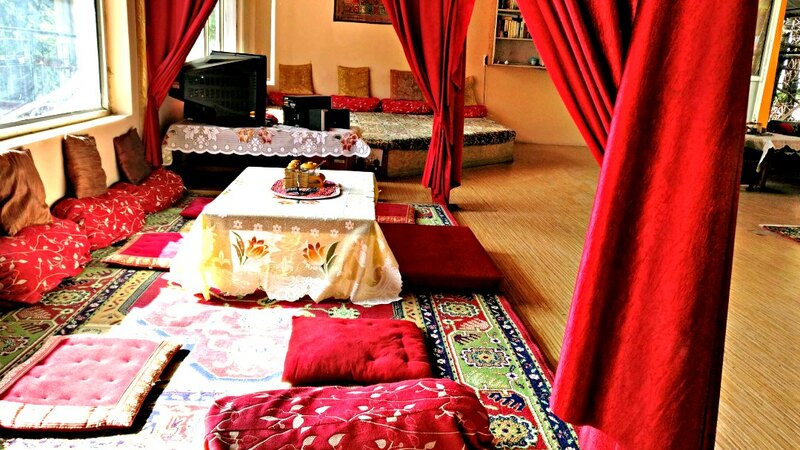 There are three kinds of rooms at Bonfire hostel – the dorms, the standard rooms and the luxury rooms. We stayed in a dorm, which actually turned out to be a standard room (since the renovation was up). 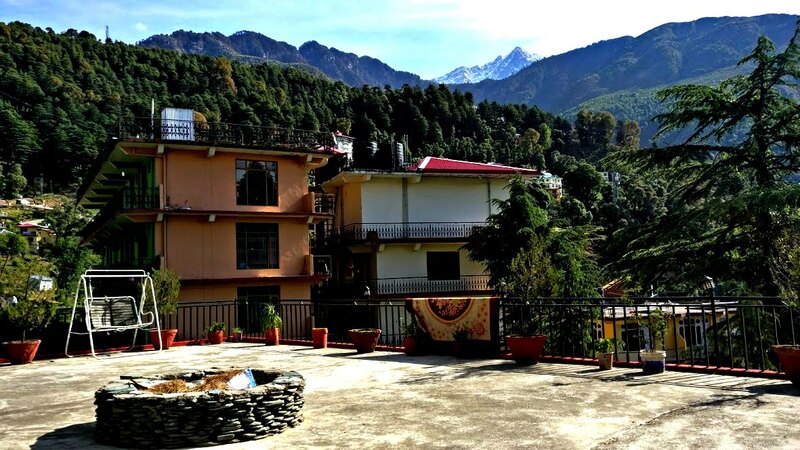 The standard and the luxury rooms come with the view of the Triund mountains and the big terrace area, which is a big plus! The dorms are located further downstairs, and although the place itself is good, there is no access to great views here. I felt that the regular rooms are the best to go for if traveling in a group – for both the price & the fun! The best thing that I loved about Bonfire hostel was the living area, which is spacious with the balcony overlooking the mountains. 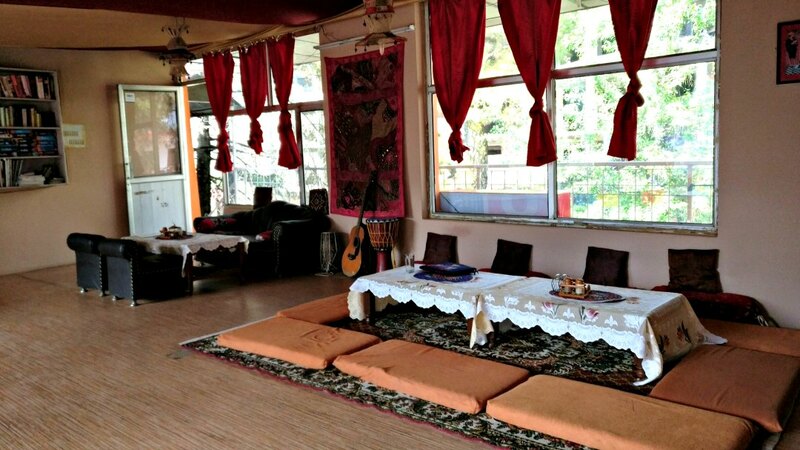 The lounge bears the Kashmiri style in design and the ambience, as the owner hails from Kashmir. I was expecting more of a Tibetan influenced decor this being McLeod Ganj, and hence this was a surprise in a good way! The internet is great here, which is very important to me, and I could work amidst some great views and food. The living area is also the cafe at Bonfire hostel, and it was kind of expected as the place looks perfect to sip hot Masala Chai while soaking in the blissful views! From American to Chinese to Tibetan, and of course Indian, there are different cuisines to try. I wouldn’t say the food was extraordinary or special, but it was decently good enough. We tried Indian for dinner, and I opted for a light English breakfast, which was good. So I found Bonfire hostel to be a good value for money as for the place is concerned with good quality food. I can’t comment on the decor as the place wasn’t fully ready at the time of my visit, but as I said earlier, it looked promising. If you can overlook this or consider this as some workout for your knees (probably a more refreshed version of myself would have thought like this! 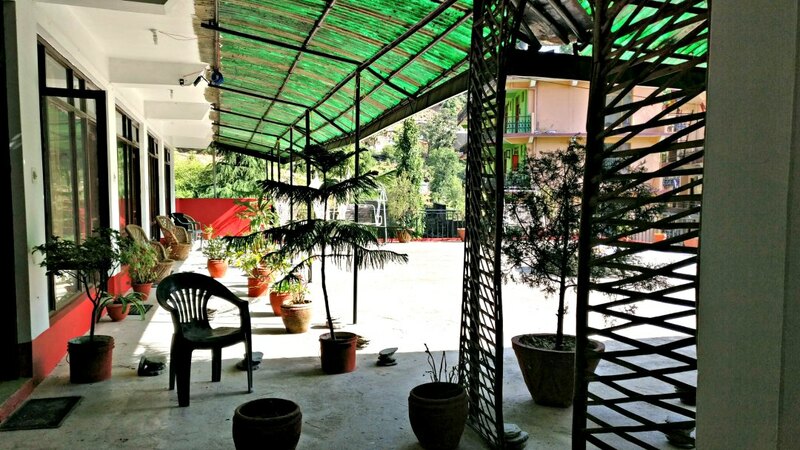 ), then Bonfire Hostel serves the purpose just right! 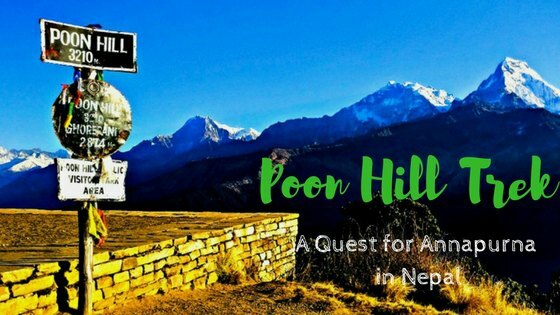 PS: This post was written in collaboration with Bonfire Hostel, but as always, all the views and opinions are my own.